Founded by hippies in the early 1970s, Christiania could be just the place for you. Located on an abandoned military base, the semi-autonomous district views itself as a truly alternative, if not perfect, community. The settlement is now the second most visited tourist attraction in Copenhagen, showing the unquantifiable allure of unorthodox living. Read on to learn about the history of Christiania and the ups and downs that have helped shape the unique community that it is today. 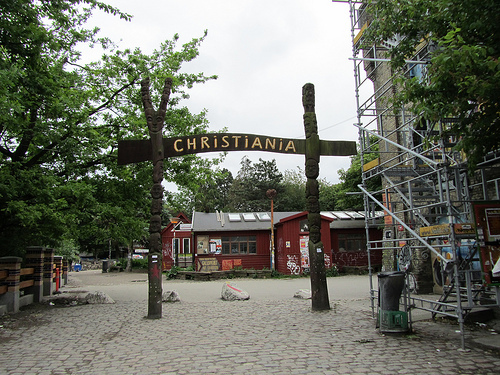 The site of Christiania was formerly the barracks of the Danish Royal Artillery Regiment in Christianshavn, which was abandoned between 1967 and 1971. As the military left the area, a group of locals spontaneously broke through the perimeter fences to give their children open space to play in. Originally disorganised, the barracks and surrounding areas became increasingly frequented by left-leaning individuals and anti-government protesters. The establishment of the 'free town' was officially announced by Jacob Ludvigsen in September 1971, with the counter-cultural figure declaring the former "forbidden city" open to settlers. Christiania quickly became a beacon for fascinated hippies, squatters and anarchists. The commune, which practiced collective living and its own variety of laws distinct from the rest of Copenhagen, aimed to promote a progressive and liberal way of life. The unique area was able to achieve a distinct degree of independence from the Danish state and still retains sovereignty over much of its own affairs today. What makes Christiania so special for visiting tourists is its radical methods of community organisation. The area has its own set of rules, with nine 'common laws' for all inhabitants to follow. As well as largely banning cars, violence and hard drugs are prohibited - although cannabis is generally tolerated. Christiania is also renowned for its welcoming attitude to all who wish to live there. This has resulted in the free town being seen by many as a kind of social experiment, where people mix without the pressures of modern life. As well as placing a strong emphasis on yoga and meditation, recovering drug addicts are also encouraged to stay and try to sort out their problems. The community vibes of Christiania are epitomised by the commune's popular theatre group. Considered one of the coolest troupes in the country, their left-leaning and acceptant ideals have made tickets to their shows and events the most sought after in Copenhagen. A popular stop with visitors to the city, tourists tend to be amazed by the sprawling unpredictability of Christiania. It remains one of the most unique places in Denmark and has very few equals anywhere around the world. However, living on the fringes of society has created some problems for Christiania in recent years. Its open nature has resulted in some unwelcome figures operating in the area, although Danish authorities have been increasingly cracking down on them. 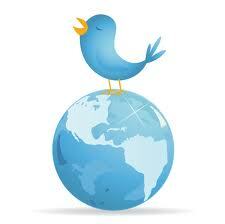 Riots over land use and evictions also hit the front pages of Danish newspapers and outlets around the world. Christiania is continuing to thrive and provides an alternative way of living for those who wish to enjoy such freedoms. The future of the settlement was secured in 2011, when much of the land it is based on was collectively bought by inhabitants from the Danish state. Unique and unpredictable, it appears as if Christiania will continue to be Copenhagen's communal anomaly for many years to come. It will also continue to be an interesting place for tourists to come and see while visiting Copenhagen.